Here’s a little inspiration for your Holiday week. Enjoy! The familiar rhyme echoes the idea that humans can share space without sharing an ideology. Much of the violence in the world can be traced to incompatible worldviews. Violence toward others can be explained away within communities where particular beliefs are treated as absolutes and ethnic cleansing and racial purity are highly desired. Is there an alternative, or are we bound to battle until voices considered disagreeable are silenced? The irony is that the founders of faith communities left open wide doors to accept neighbors, but the current religious advocates have elevated ideology and ethnicity to the status of universal truth. Unitarian Universalist Fellow­ship of the Firelands, meeting in the lower level of First Congregational Church, 431 Columbus Ave., 10:30am, Sandusky. 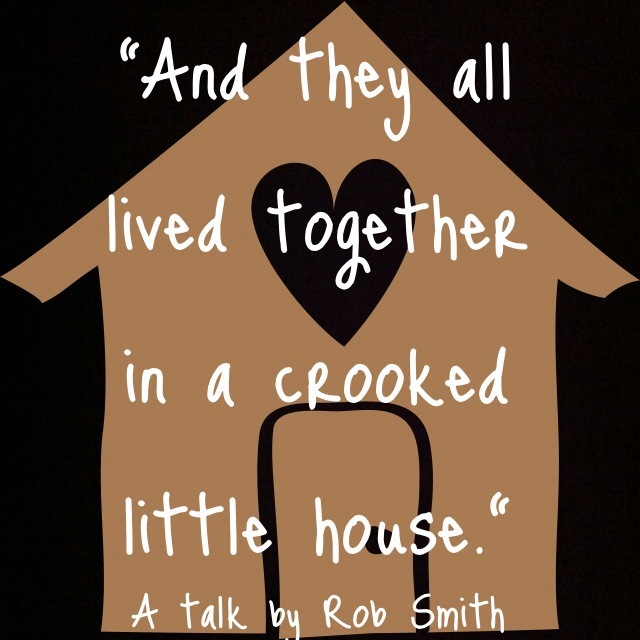 Rob Smith presents “And They All Lived Together in a Crooked Little House” on Nov. 16. Children’s Religious Education available. We are a liberal religion that embraces diversity.